I have been collecting stamps for about thirty years and I could not find a handbook, which can help me to understand how I must collect it and what I must collect it and how it should be presented in an exhibition etc. 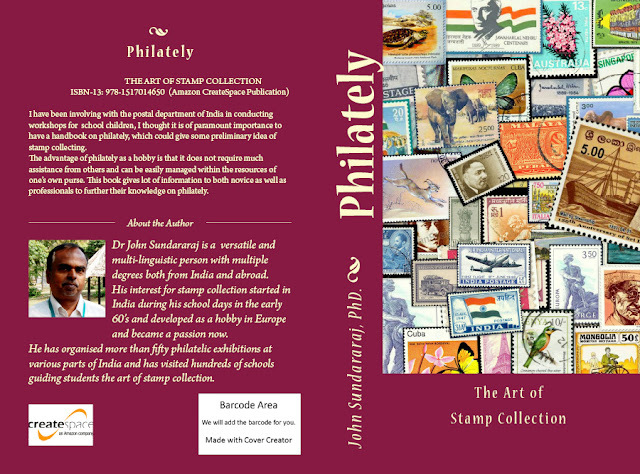 Since I have been involving myself with the department of posts in conducting workshops for the School Children I thought it is of Paramount importance to have a handbook on philately, which could help everyone who collects, may get some preliminary idea of stamp collecting. If not for anything else the Internet has encouraged many new people to pursue this fascinating hobby. It is a well-known fact that philately has attracted millions of people of all ages who take keen interest in collecting stamps of various countries of the world. Unlike other sports, interestingly there is no age of retirement in philately! 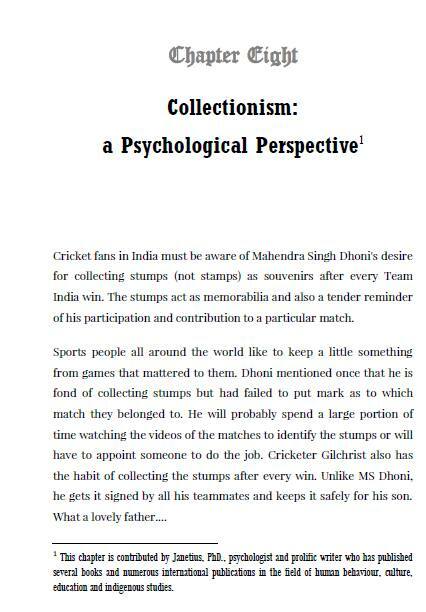 the book has a special chapter on the psychology of collection, by Dr Janetius.